Audrey Hepburn stars in Wait Until Dark as Suzy, a blind woman facing off with home invaders. It takes a lot to surprise modern film viewers, especially in the comforts of home theaters. 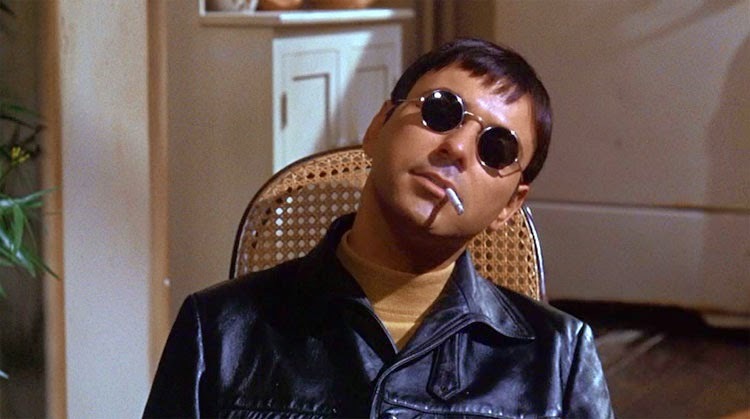 That fact makes the final shock of Wait Until Dark even more impressive. We’re familiar with the “last scare” from horror films that’s become commonplace. The audience relaxes after the villain is defeated, but the baddie returns for one last trick. This trend goes beyond the horror genre; it even happened at the end of Die Hard. What makes this moment different is how grounded the story has been to that point. Roat (Alan Arkin) is a creepy villain, but he doesn’t appear superhuman. When he leaps across the screen at Audrey Hepburn’s Susy Hendrix, it’s entirely unexpected. She brutally stabbed Roat moments earlier, which makes his trampoline-like jump towards Suzy even more unlikely. It’s a comical scene on repeated viewings, but the first instance is brutally effective at the end of such extended suspense. Our story begins with Lisa (Samantha Jones) smuggling heroin inside a doll into New York City. She works with Roat but makes the strange choice to give the doll to Suzy’s husband Sam (Efrem Zimbalist, Jr.). This sets in motion a scenario where Roat hires two of Lisa’s former associates to retrieve the doll. Mike Talman (Richard Crenna) and Carlino (Jack Weston) are small-time hoods and not in the same world as Roat, but money talks. I’ve yet to mention the most significant factor in the entire plot — Suzy is blind. This allows the guys to deceive her and search the place, but she’s hardly a helpless victim. Recently blinded in a car accident, Suzy is still learning how to live without sight. Even so, she begins to catch on that the seemingly friendly men in her apartment may not have good intentions. The villains linger around the corners of the frame and trap the unknowing Suzy in her home. Hepburn received a Best Actress nomination for a role that appears simpler than it is; she’s on her own against the invaders. Sam leaves for work early in the movie, and only her 11-year-old neighbor Gloria (Julie Herrod) can help Suzy. Hepburn was a superstar by this point of her career and destined for awards interest. That doesn’t mean the performance fails, however. After a lengthy introduction that sets the stage, we spend the remainder of the movie with Suzy inside the apartment. Hepburn’s screams of frustration might seem overly melodramatic, but she sells the anger pretty well. Her slender frame adds to the sense of danger from the robbers. She seems tiny compared to a guy like Richard Crenna, and the shot composition builds the sense that Suzy’s trapped inside a nightmare. Roat and his guys are toying with her, and she stands in the middle of the frame surrounded by trouble. Wait Until Dark was adapted from a Frederick Knott play that premiered one year earlier. Its source material on stage is evident with nearly all the action taking place inside Suzy’s apartment. A few scenes happen outside or at Sam’s studio, but the film mostly sticks with one location. This choice allows us to become very familiar with the location, including the parts that would play a key role in the final conflict. Suzy points out the refrigerator early in the story, and it’s no surprise when it comes into play later. The downside of sticking with the apartment is the slow pace during the first hour. The finale is dynamite, but there are times when it feels stretched to get there. 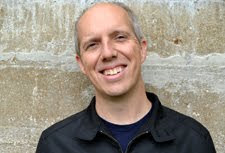 It takes Suzy a long time to recognize the signs that something is amiss, and repeat visits from Talman and Carlino halt the narrative momentum. Director Terence Young is known for directing early Bond films like Dr. No, From Russia with Love, and Thunderball. He enjoyed a long career, but Wait Until Dark is one of the few other well-known films in his background. The easy comparison to his work here is Alfred Hitchcock, but Young takes a more direct route. He uses the space well, particularly when characters are standing near Suzy without her knowledge. An early scene with a body in the closet is also a convincing moment because it feels so mundane. Henry Mancini’s score underplays the suspense and saves the volume for the final act. The blaring sound of a car engine after an abrupt cut is one of the most startling moments. The lack of these shocks until the end makes them a lot more convincing. The story plays more like a melodrama until the bloody finale. Alan Arkin's creepy performance stands out among the supporting players. Looking beyond Hepburn’s performance, the other memorable role comes from Arkin as a man who enjoys the chaos. There’s probably an easier way to find the doll than using Talman and Carlino. Roat has no problems with tormenting Suzy and plans to leave no witnesses by the end. I’m familiar with Arkin’s grumpy old man persona, so it’s surprising to see him chewing the scenery as the villain. In the DVD interview, Arkin describes Roat as a guy who takes so many drugs that he’s mellow but living in a haze. He doesn’t really show the darker side until the end when it’s elimination time. Unlike Arkin, Crenna seems far too nice to play a criminal. It’s no surprise that he’s unwilling to take the next steps to find the doll. Talman spends the most time with Suzy and may have feelings for her. That storyline is never developed but seems likely given his final scene. 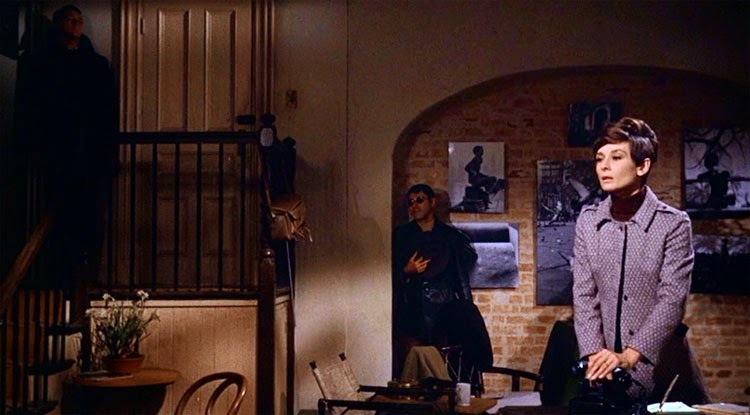 One reason for Wait Until Dark’s success was the masterful marketing campaign, which claimed that the theater would turn the lights down to the “legal limit” during the final eight minutes. Their brilliant move worked, and it’s easy to see why they focused on the last segment. The moments when Suzy angrily shatters the light bulbs to give herself a chance are superb. Watching this film in a packed theater must have been quite an experience. There’s a reason the play has been adapted frequently over the years; it still packs a punch. I’m curious about a 1998 revival that included Marisa Tomei as Suzy and Quentin Tarantino as Roat. From a glance at the reviews, they were not kind. Tomei is a talented actress, but matching Hepburn would be difficult. She brings ferocity to the part that’s truly unexpected. Hepburn retired afterward and only returned for a few roles, which was a stunning move. It’s hard to argue with ending her tenure as a full-time actress on this note, however. She lifts the material to much greater heights. I have a special place in my heart for this movie, considering that it was one of the classics my mother introduced me to as a child, but it hasn't aged as well to me as I would have liked it to. Arkin is insanely good here (like, Oscar good), but Hepburn, while great, was better in Two For the Road, which she should have won the Oscar for that year...such a brilliant performance. Nice review. I had no idea there was a 1998 version. Yeah, that sounds...questionable. The 1998 play does not sound like a good idea, especially with Tarantino in such a prime role. I think Hepburn was very good, but I do wonder if this nomination was a little more about reputation from a movie people really liked. 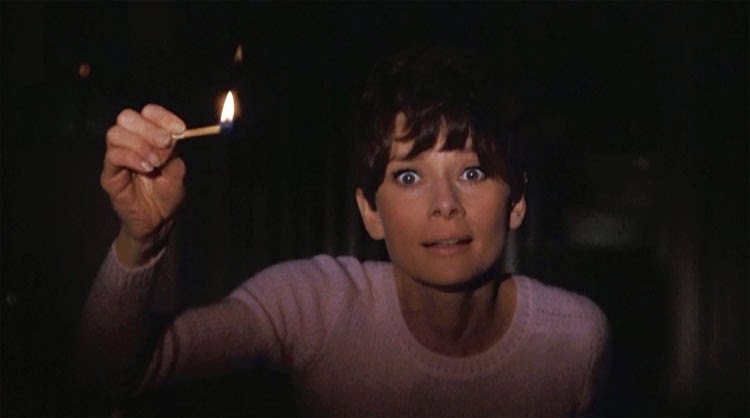 My mom also has mentioned Wait Until Dark a lot; she talks about it freaking her out in the theaters. I haven't seen this. In fact, I've not seen all that much of either Hepburn sisters work. Maybe for 2016 blindspot challenge. Great review, though. I'm really curious to see Arkin's performance. I almost always enjoy him, but I'm particularly intrigued since I just watched Glengarry Glen Ross. There are large sections where Arkin isn't involved directly, but he makes his presence felt (especially in the last scene). I don't think of this as the most signature Hepburn performance (that's probably Breakfast at Tiffany's or maybe Sabrina), but it's good enough to check out at some point. I thoroughly enjoyed this movie, even though it was easy to tell how she was going to fight them (even if the title didn't already tell us). I believe that this was the very first film to use the "one last scare" bit and I agree that it was damn effective. The last scare is funny because I'd read that it happened and then totally forgot. It got me pretty good despite being ridiculous once you know it's coming. I doubt there were too many like it before that time. I love Hepburn but this is one of her films that I still haven't seen. Loved the review. Thanks Keith. It isn't one of her trademark roles, but it's still worth seeing at some point. It was during the only film class I ever took in high school (the only one actually available in my high school) that I first saw this film. I was seventeen and just beginning to move from intrigued, but still rather casual moviegoer, to die hard cinephile, and this film just blew me away. So tense and taut. Hepburn and Arkin are both great in the film. Hepburn often does not get the respect afforded to other actors. Often called fluffy, she was actually quite a talented actor. This role, along with Two For the Road, are two of my favourite Hepburn performances, and two that are sadly unknown to many a filmgoer. It's an interesting performance because it sneaks up on you. At first, it seemed a bit showy and less convincing. By the end, however, it totally worked for me. Her howls when crashing the light bulbs were stunning given her reputation that you mention of her being fluffy. I haven't seen Two For the Road but I should definitely give it a look.